Sentai Filmworks Licenses "MY love STORY!!" 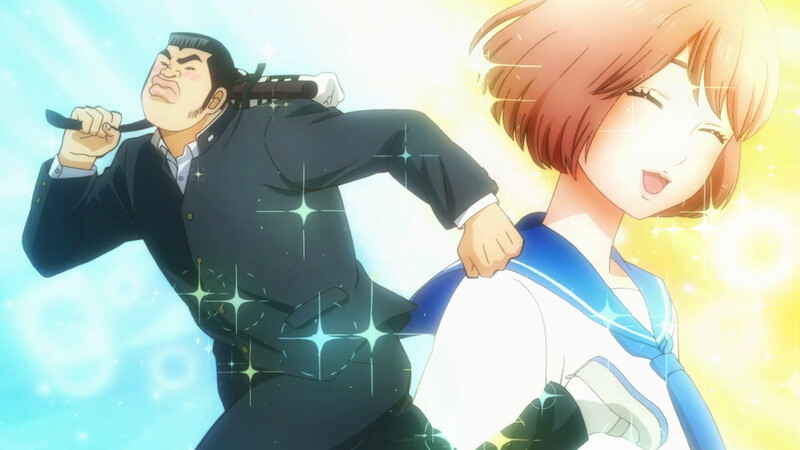 HOUSTON, May 7, 2015 – Sentai Filmworks is proud to announce its latest acquisition, MY love STORY!! as part of their Spring 2015 anime season acquisitions. From original creators Aruko and Kazune Kawahara, this romantic comedy series introduces the loveable Takeo Gouda, a giant guy with a giant heart who’s (love) life is about to take an incredible turn. Morio Asaka will be directing the series, with Natsuko Takahashi providing series composition. S.E.N.S., having previously been involved in series Kimi ni Todoke and xxxHOLIC, will be handling music. Character designs will be handled by Kunihiko Hamada, and animation production will be done by MADHOUSE, broadcasted by Nippon TV in Japan. MY love STORY!! is scheduled for an April 2015 release and will soon be available through select digital outlets with a home video release to follow. Nippon Television Network Corporation (Nippon TV) is Japan’s number one rated broadcaster, having won the Triple Crown title for the entire year of 2014 by topping the charts in the All Day, Prime Time, and Golden Time categories. Since becoming Japan’s first commercial broadcaster in August 1953, Nippon TV has come to be known as the country’s finest producer and broadcaster of all genres of programs ranging from news, documentaries, sports, dramas, entertainment shows to animation. One of the biggest successes for Nippon TV is its format Dragons’ Den. To date, the format has been sold in over 25 countries and regions. Nippon TV also has a wide variety of group companies that deal with movies, animation, events, TV shopping, and merchandising.